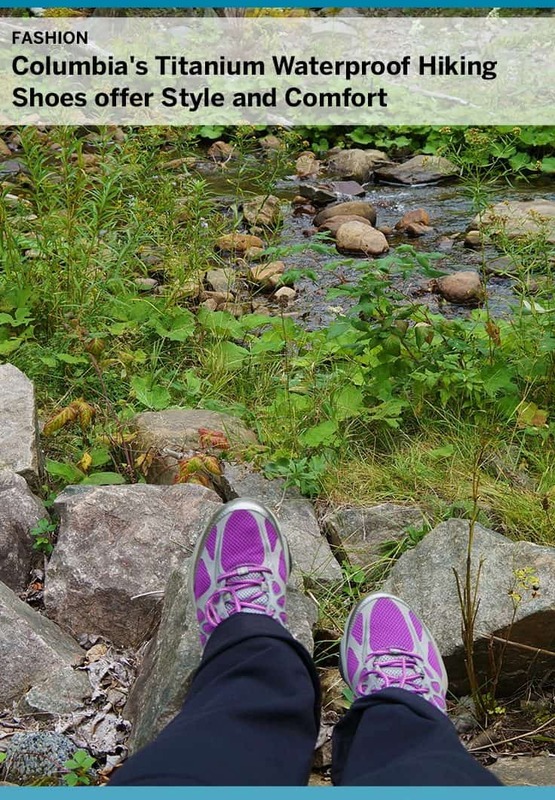 Dream Life Fashion Columbia’s Titanium Waterproof Hiking Shoes offer Style and Comfort! I haven’t been this excited about a shoe purchase in a long time. I arrived at my hotel room after a long day of hiking and sightseeing in the pouring rain. 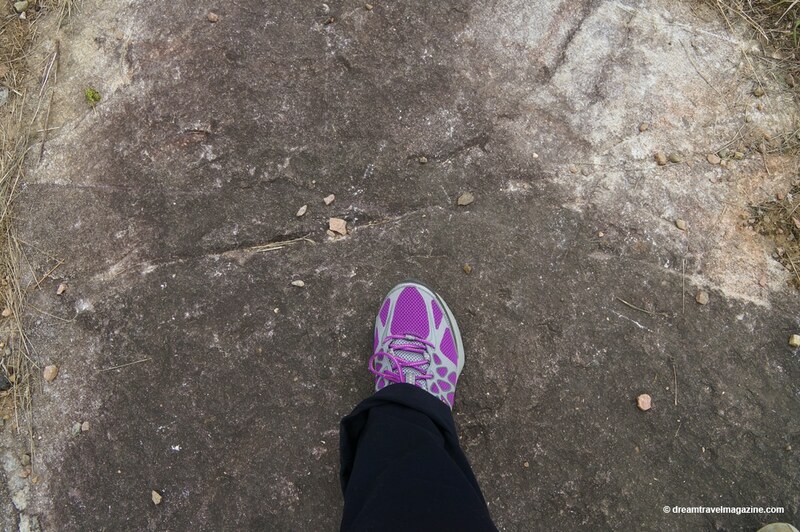 My feet were totally dry, and despite hitting almost 20,000 steps, they never felt better. It was the ultimate redemption! Spending $60 for purple Columbia hiking shoes at Winners suddenly felt pretty amazing! 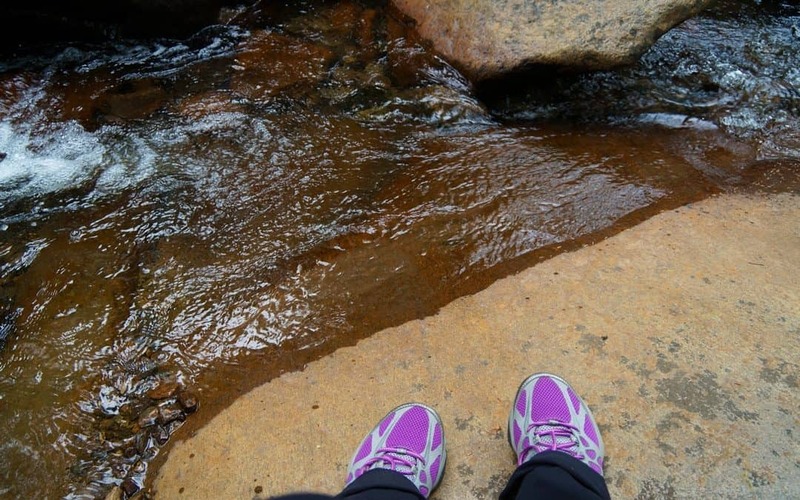 Today I’m sharing everything you need to know about Columbia’s Titanium waterproof hiking shoes. 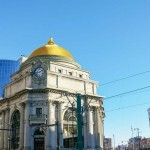 I’m not an extreme adventure person, but I do love Columbia Sportswear products as travel gear and have featured them before. See my post about stylish winter travel fashions here. I must be honest I have been doing more and more hiking and trail walking on my adventures, and I’ve been doing them in running shoes. 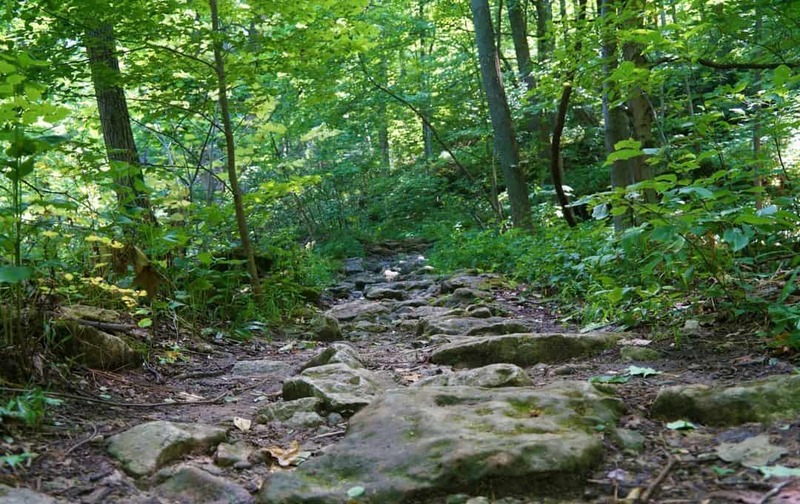 This trail above on the Niagara Escarpment almost killed me and my ankles. 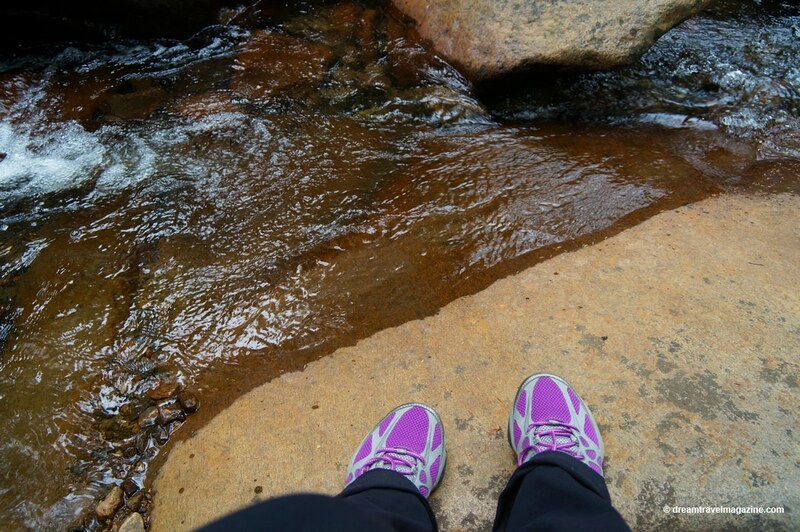 Slippery rocks, steep sloping trails and damp conditions require proper footwear, and I knew that day I had to find a pair of hiking shoes. Hiking shoes are not cheap, and they come in all sorts of styles and combinations. The worst part about them is their weight. 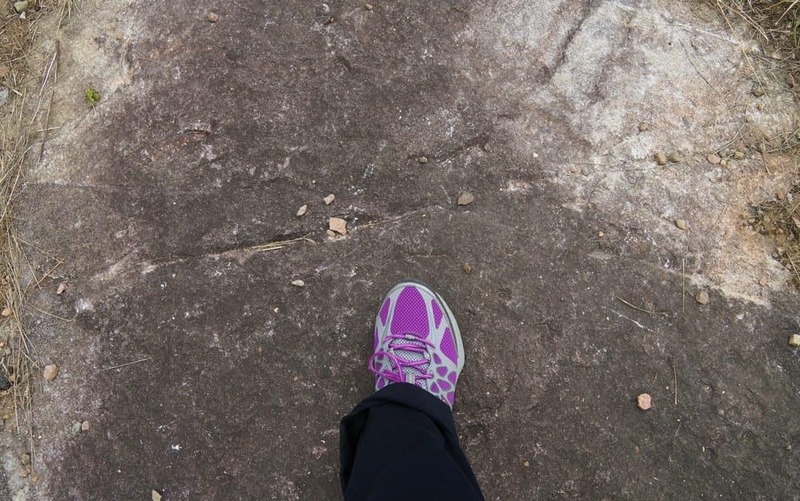 So finding a lightweight, comfortable pair of hiking shoes was a bit of a challenge for me. Until that faithful day at Winners when I decided to walk through the shoe aisle. Since these Columbia Titanium hiking shoes are designed like running shoes, they fit the criteria. I can wear them for both sightseeing and trail hiking and not worry about my feet. My first walk in these shoes was on Mont Tremblant in Quebec. 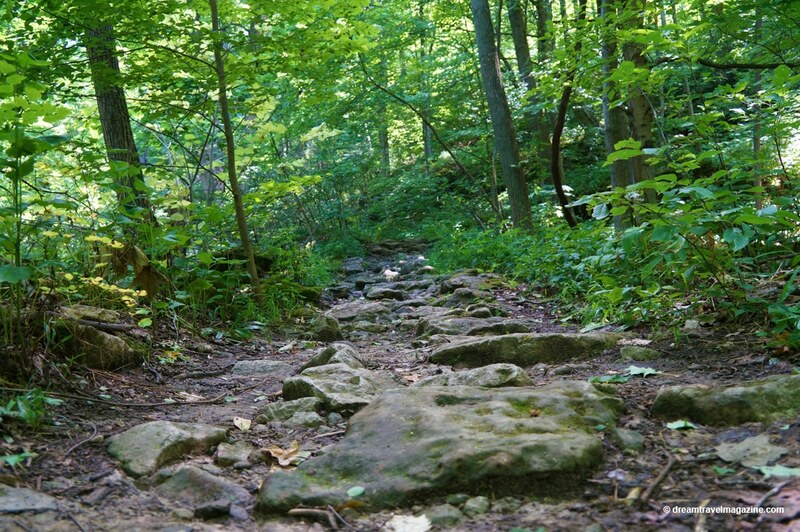 Walking up a steep mountain trail on a rainy day proved to be the perfect test. 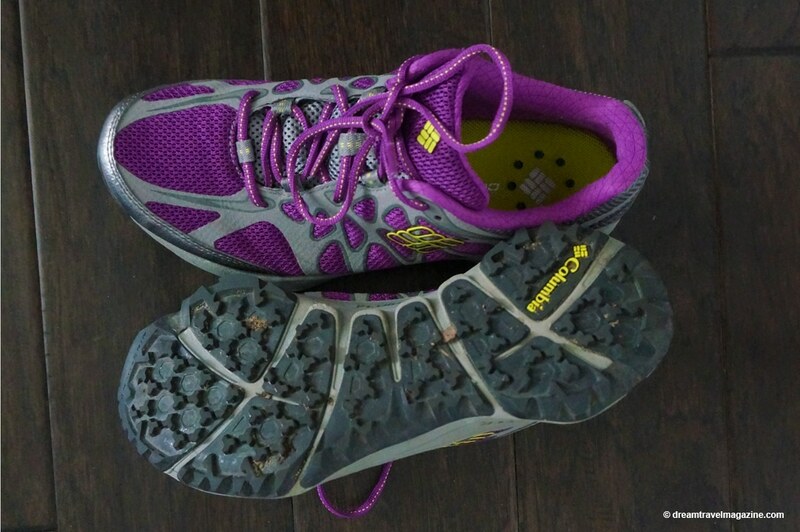 The bottom of the shoe has a great tread that grips rock, loose dirt and mud very well. The upper body of the shoe looks porous and breathable, and it is, but by some miracle, your feet stay perfectly dry, even in a downpour. 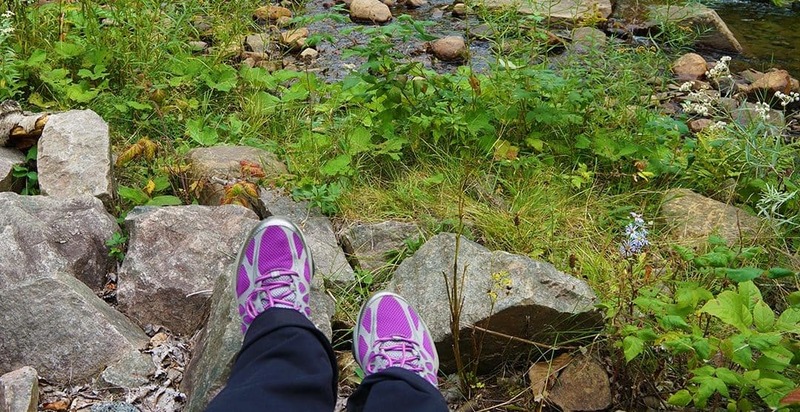 I won’t hesitate to pack my lightweight hiking shoes in my luggage for any trip that requires hiking on a trail. Both shoes together weigh in at about one pound which is equivalent to my sneakers. 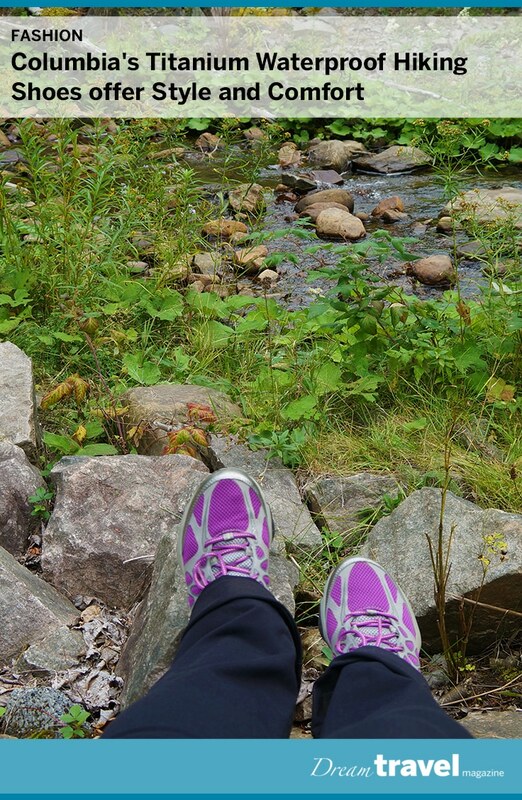 Inside the hiking shoe, there was lots of support for my feet and despite walking up and down Mont Tremblant’s mountain trail and in the steep cobblestone streets of its village I had no issues whatsoever. In fact, I forgot I was wearing hiking shoes until I heard all the people with me in runners complaining about their wet feet. Pin to your favourite shoe board! If you are looking for a great hiking shoe I recommend the Columbia Titanium model. 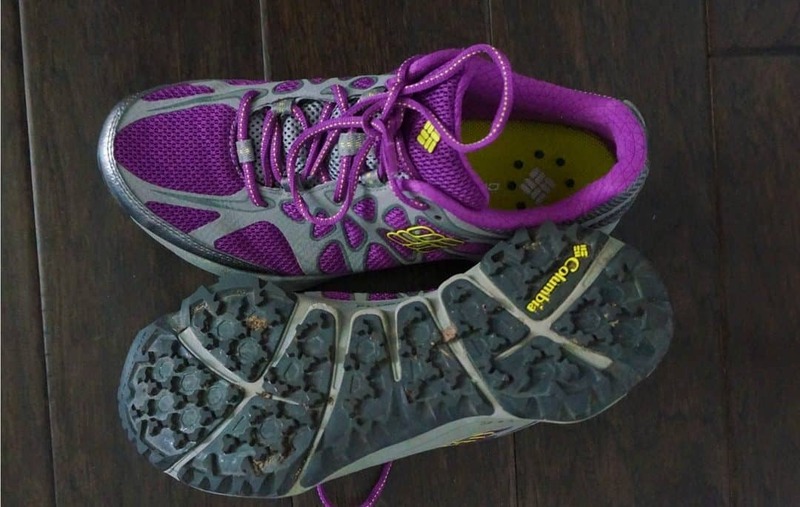 A super lightweight and completely waterproof shoe that won’t let you down on any trip or trail. I purchased these shoes myself and did not receive compensation for this post.